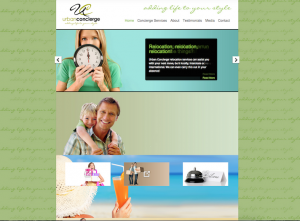 Urban Concierge is a premier concierge and lifestyle management consultancy. 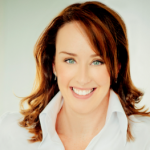 Kathryn Mayne the owner of Urban Concierge needed a website which reflected an aspirational lifestyle and which instilled confidence in prospective customers and reflected her brand. Kathryn also wanted to be able to make regular updates to her website without having to rely on a developer. 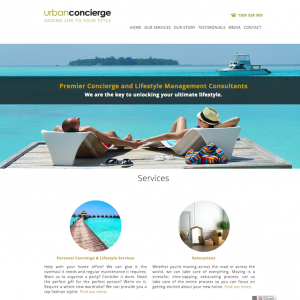 We developed a custom WordPress website for Urban Concierge which had a fresh, modern feel and which also highlighted Kathryn’s extensive experience and professionalism. It was important that we didn’t lose the existing search rankings for the old Urban Concierge website so as part of the development we paid attention to redirecting old URLs and ensuring the content included the key search terms that prospective customers use when searching for lifestyle services. I engaged the services of the Amica Digital (previously Kickstart Biz) to re design my website along with the repositioning of my brand. I selected Suellen to undertake this project via a personal business recommendation. Suellen commenced a detailed process of getting to know my current business and most importantly where I wanted to take my business and the look and feel of my brand. From the very first design options Suellen nailed the brief and swiftly progressed fine tuning my vision and more! The process was easy and professional. I now have a website I can amended easily and also have Suellen’s ongoing support to change my website as my business journey continues.